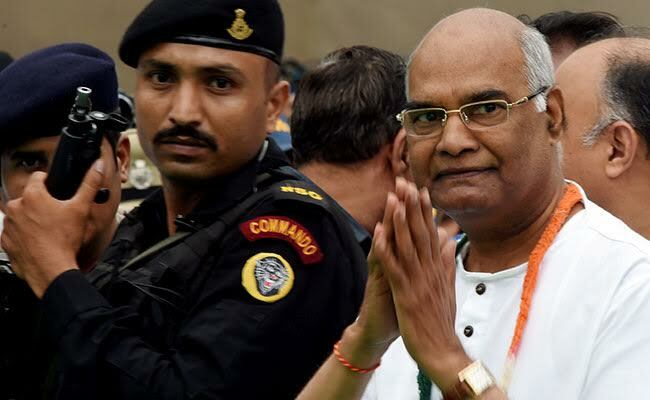 New Delhi: Ram Nath Kovind has won the presidential election after securing over two-thirds of the total electoral college votes. Mr Kovind will be sworn-in as the 14th President of India on July 25. Prime Minister Narendra Modi congratulated Ram Nath Kovind for winning the presidential election. PM Modi tweeted: "Congratulations to Shri Ram Nath Kovind Ji on being elected the President of India! Best wishes for a fruitful & inspiring tenure." Flowers and extra security had arrived at the former Bihar governor's home in Delhi long before the official announcement and sweets were passed around at his hometown in Uttar Pradesh. The counting of votes for the presidential election began at 11 am today. The contest, between the ruling NDA's Ram Nath Kovind and the Opposition's Meira Kumar, both Dalits, had seen nearly 99 per cent lawmakers and legislators cast their vote - the highest ever. Voting had taken place on July 17. 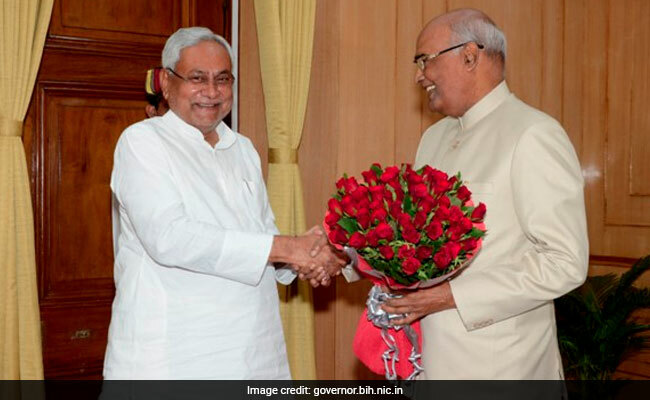 Bihar Chief Minister Nitish Kumar, who broke ranks with the Opposition to support the NDA-backed presidential candidate, is likely to attend the oath ceremony of Ram Nath Kovind as India's 14th President at Rashtrapati Bhavan in Delhi on July 25. Ram Nath Kovind's election as the next president of India was never in doubt but the large scale cross-voting in seven states throws up a big worry for the opposition, especially ahead of polls in Gujarat later this year. 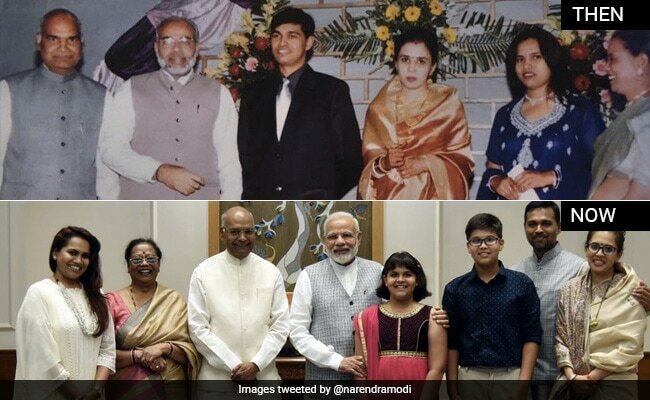 As Ram Nath Kovind becomes the President of India, PM Modi dug out an old photo of both of them, much younger, and tweeted it. Mr Kovind also admitted that it was an "emotional moment" for him. Take a look at this photo of PM Modi with Ram Nath Kovind from 20 years ago. The Mandal kamandal discourse that dominated Indian politics in the last three decades has finally come full circle with the election of Ram Nath Kovind as the new President of India. 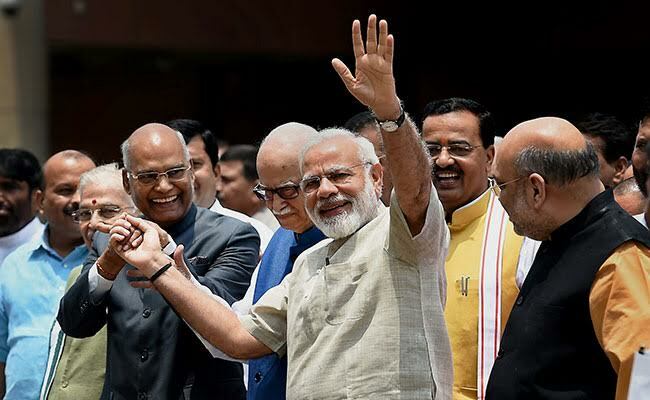 This is the first time in Indian history that the President, the Vice President and the Prime Minister belong to the Dalit and OBC communities. President-elect Ram Nath Kovind's daughter Swati said that people from "all over India are celebrating." 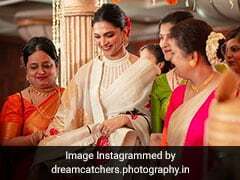 She also said that "It is a proud moment" for her family. Union Home Minister Rajnath Singh congratulated Ram Nath Kovind after he won the presidential election. Mr Singh wished President-elect Ram Nath Kovind "success and a great future". Congratulations to Shri Ram Nath Kovind ji on his successful election as the President of India. I wish him success and a great future. Hearty felicitations to Shri RamnathKovind ji on his election as President of India with a huge majority. Outgoing President Pranab Mukherjee congratulated Ram Nath Kovind for being elected the 14th President of India. 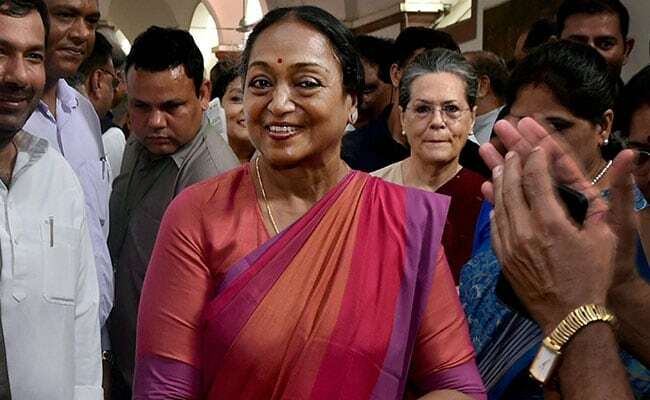 Opposition's presidential candidate Meira Kumar, who lost the election to Ram Nath Kovind, thanked Congress president Sonia Gandhi and other leaders who supported her. She said that "My fight for secularism, the oppressed & the marginalised continues. I thank all my well wishers for their support & good wishes." My fight for secularism, the oppressed & the marginalised continues.I thank all my well wishers for their support & good wishes. Speaking after the result was declared, opposition presidential candidate Meira Kumar said, "I congratulate Shri Ram Nath Kovind ji for becoming the President of India. My best wishes are with Shri Kovind ji as it has fallen upon him to uphold the Constitution in letter and spirit in these challenging times." 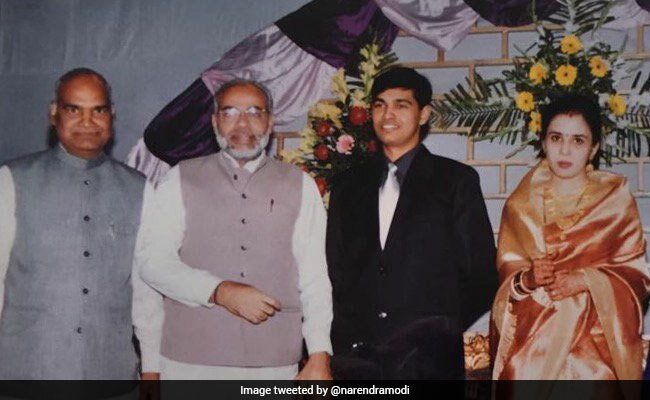 Prime Minister Narendra Modi shared a 20-year-old photograph of himself with President-elect Ram Nath Kovind. 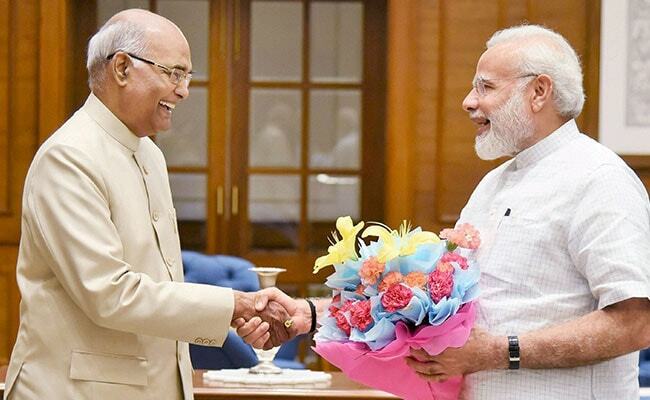 The message along with the photograph read: "20 years ago and the present...always been a privilege to know you, President Elect"
1) Ram Nath Kovind, a Dalit, is a farmer's son and in known for his humble origins and simple lifestyle. 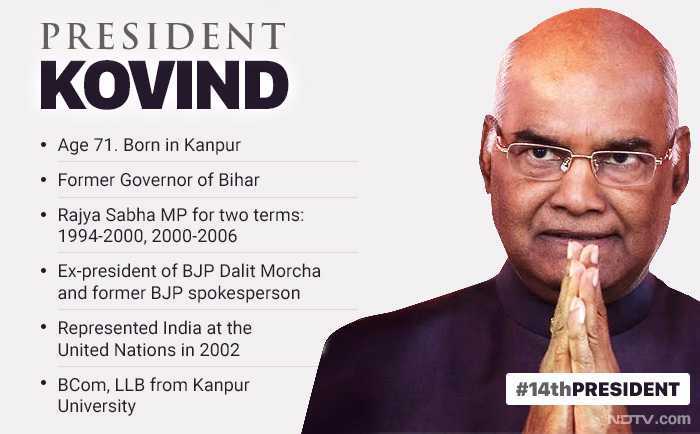 2) Born on October 1, 1945, in Kanpur Dehat, Ram Nath Kovind is a commerce graduate. He pursued law from Kanpur University. 3) Mr Kovind practiced in the Delhi High Court and Supreme Court for more than 15 years. 4) He is married to Savita Kovind and has a son and a daughter. 5) Mr Kovind is the former president of BJP Dalit Morcha. He has also served as the BJP's national spokesperson. 6) He was also a two-time Rajya Sabha member from the state of Uttar Pradesh between 1994-2000 and 2000-06. 7) Mr Kovind had worked as a top aide to former Prime Minister Morarji Desai and has represented India at the United Nations in New York. 8) He has also been a member of several Parliamentary Committees, including the committee on Welfare of Scheduled Castes/Tribes, Social Justice and Empowerment, and Law and Justice. 9) He was appointed as the Governor of Bihar by the Centre three years ago. The septuagenarian became the 36th Governor of Bihar in August 2015. His appointment had surprised many state leaders and Chief Minister Nitish Kumar had voiced his displeasure over not being consulted. Though, during his term in Bihar, Governor Kovind hadn't run into no controversy with Chief Minister Nitish Kumar. 10) If elected, he will be the second Dalit President after KR Narayanan to hold the nation's highest office. 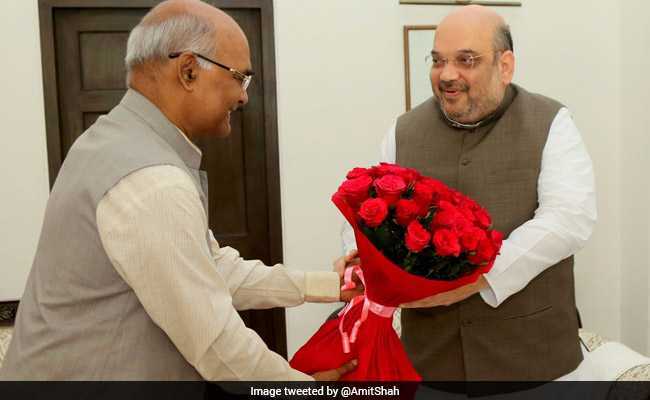 Congratulating Ram Nath Kovind for his victory in the presidential election, BJP president Amit Shah said, "Congratulations to Shri Ram Nath Kovind ji for an emphatic victory in the 2017 Presidential elections. His victory is truly historic". In his victory speech, Ram Nath Kovind reached out to the farmer and the common man. Mr Kovind said: "It has been raining in Delhi since the morning. Rains remind me of my village, of our kachcha home with walls of mud and a roof that could not repel water during the monsoon. My siblings and I used to stand and wait for the rains to end. Today there are many Ram Nath Kovinds who are getting wet in the rain, working hard, toiling in the fields for one square meal in the evening. Today I want to tell them that I will be their representative in the Rashtrapati Bhavan." Speaking after his victory, President-elect Ram Nath Kovind said, "Me being elected President is a message for a person who has walked on an honest path. Thoughts of serving my nation have brought me this far". He went on to say that "My job will be to uphold and protect the Constitution of India". "I salute all the people of India," Mr Kovind said as he narrated that "I never thought that I will become president one day. It was never my goal. But for the country, for society, my hard work has brought me till here". "I congratulate and thank opposition candidate Meira Kumar," he said. Speaking about his responsibility as India's first citizen, Mr Kovind said, "It is a great responsibility to be elected to the post that has been graced by great men like Dr Rajendraprasad, Dr Sarvapalli Radhakrishnan, Dr APJ Abdul Kalam and Shri Pranab Mukherjee". On his victory, he said "Personally this a emotional moment for me." Speaking about his humble background as a farmer's son, Mr Kovind said, "It has been raining in Delhi since the morning. Rains remind me of my village, of our kachcha home with walls of mud and a roof that could not repel water during the monsoon. My siblings and I used to stand and wait for the rains to end. Today there are many Ram Nath Kovinds who are getting wet in the rain, working hard, toiling in the fields for one square meal in the evening. Today I want to tell them that I will be their representative in the Rashtrapati Bhavan." Prime Minister Narendra Modi also shared a photograph of Mr Kovind and him from 20 years ago, and said that it has "always been a privilege to know you, President Elect"
PM Modi also congratulated Meira Kumar, who was the opposition's candidate for the post of president, for her campaign. Speaking about Meira Kumar's campaign, Prime Minister Modi said it "was in spirit of the democratic ethos and values we all are proud of." I also congratulate @meira_kumar Ji for her campaign, which was in spirit of the democratic ethos & values we all are proud of. Prime Minister Modi also thanked members of the electoral college. He also appreciated the support given by lawmakers and state legislators for supporting Ram Nath Kovind. Gladdened by the extensive support for Shri Ram Nath Kovind Ji among MPs & across various states. I thank members of the electoral college. 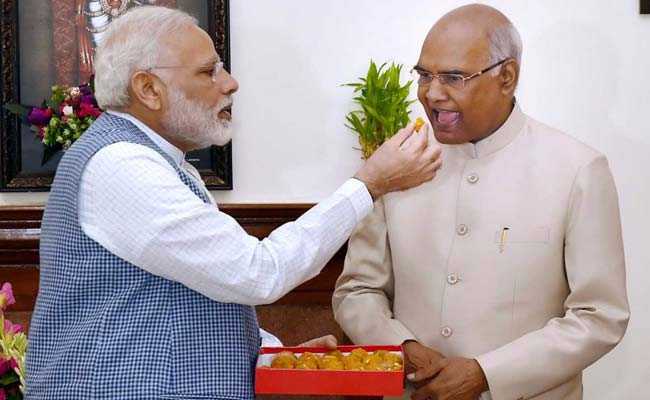 Prime Minister Narendra Modi congratulated Ram Nath Kovind for winning the presidential election. PM Modi tweeted: "Congratulations to Shri Ram Nath Kovind Ji on being elected the President of India! Best wishes for a fruitful & inspiring tenure." Congratulations to Shri Ram Nath Kovind Ji on being elected the President of India! Best wishes for a fruitful & inspiring tenure. 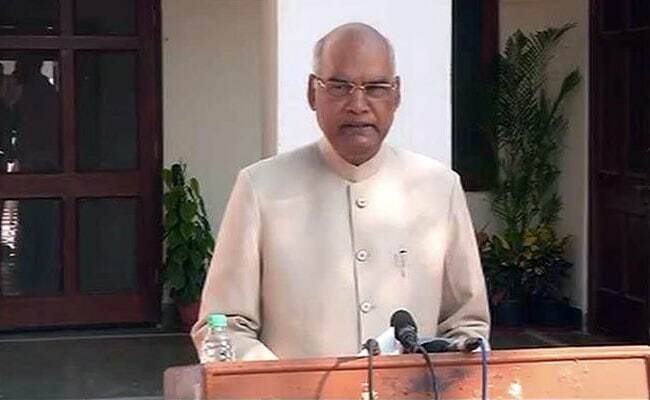 Ram Nath Kovind has been elected the next President of India. The government-backed candidate won two-third of the votes cast by an electoral college of MPs and state lawmakers. Flowers and extra security had arrived at the former Bihar governor's home in Delhi long before the official announcement and sweets were passed around at his hometown in Uttar Pradesh. Mr Kovind, 71, will be sworn-in as the 14th President of India on July 25. Breaking News: Ram Nath Kovind wins the presidential election 2017. Mr Kovind will become the 14th President of India. He defeated opposition candidate Meira Kumar after securing over two-thirds of the vote. Ram Nath Kovind is heading for an easy win as votes are being counted for the presidential election. With a total of 4,79,585 electoral college votes in his favour so far, Mr Kovind leads opposition candidate Meira Kumar by 2.75 lakh votes after counting was completed in Parliament House and 11 states. Ms Kumar has got 2,04,594 electoral college votes so far. President Election Result 2017 LIVE: Ram Nath Kovind gets 1,389 votes with a value of 4,79,585; Meira Kumar gets 576 votes with a value of 2,04,594 after counting in Parliament House and 11 states. Ram Nath Kovind, the former Governor of Bihar, is the candidate of the ruling coalition for the post of President of India. Mr Kovind, 71, "will make an exceptional President", Prime Minister Narendra Modi had said on Twitter. As an experienced lawyer, his "knowledge and understanding of the Constitution will benefit the nation," PM Modi emphasised. 1) Mr Kovind, a Dalit, is a farmer's son and in known for his humble origins and simple lifestyle. Meira Kumar, the opposition's candidate for the post of President of India, is from Bihar, and is the daughter of Jagjivan Ram, the freedom fighter, Dalit leader and former deputy Prime Minister. The 72-year-old is a veteran politician. She had been a minister of the UPA government and later, was chosen unopposed as the Speaker of the 15th Lok Sabha. After being nominated by the opposition, Ms Kumar had said, "The collegium should decide the President in best interest of country, on principles and ideologies". 1) In 2009, Meira Kumar became the consensus candidate of then ruling UPA and the Opposition NDA for the post of Lok Sabha Speaker. 2) She was the first woman and Dalit to head the Lok Sabha. 3) Meira Kumar had handled the Social Justice and the Water Resources departments in the UPA1 and UPA 2 governments. 4) Ms Kumar is a five-time member of the Lok Sabha, From 2004 to 2014, she represented Bihar's Sasaram, the constituency her father had nurtured. 5) A student of English literature, Ms Kumar had got a degree in law and then joined the Indian Foreign Service in 1973. 6) The soft-spoken diplomat started her political career and contested her first election in 1985, a year before her father's death. 7) In 1985, she was elected to the Lok Sabha from Bijnor in Uttar Pradesh, defeating top Dalit leaders Mayawati and Ram Vilas Paswan. 8) Though Jagjivan Ram had rebelled against Indira Gandhi, her son Rajiv Gandhi had insisted that Meira Kumar join the Congress. 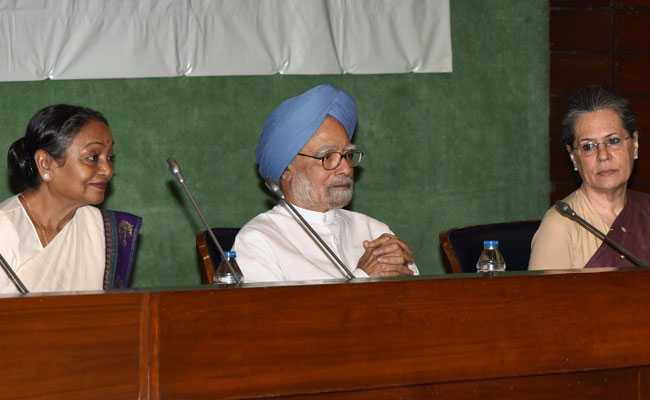 9) She had quit the Congress for two years from 2000, citing differences with the party leadership. 10) As a diplomat, she has served in the embassies in Spain, the UK and Mauritius. She also served as a member of the India-Mauritius Joint Commission. The order of counting of votes: First, the ballot box of the Parliament House is opened and counted. This is followed by the opening of ballot boxes received from the legislative assemblies of states. Counting of votes of state legislative assemblies will happen in alphabetical order. The votes would be counted on four separate tables and there would be eight rounds of counting. 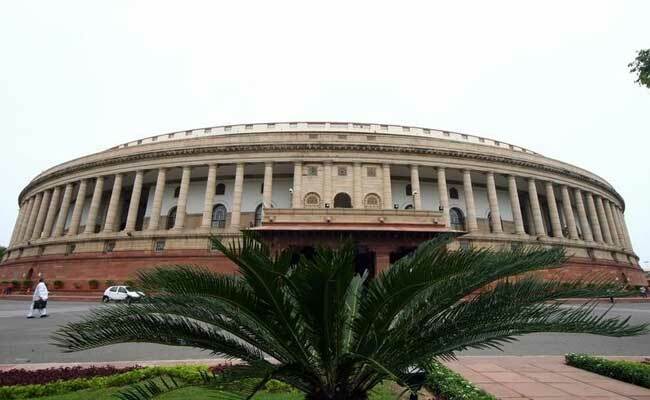 The counting of votes for the President of India election is underway at the Parliament in New Delhi. The numbers are stacked in favour of the ruling NDA's nominee Ram Nath Kovind, who is contesting opposition's candidate Meira Kumar. The name of the next President of India will be known by 5:00 pm this evening. President Election 2017 LIVE: Counting of votes began at 11 am this morning. The result is scheduled to be declared by 5 pm. 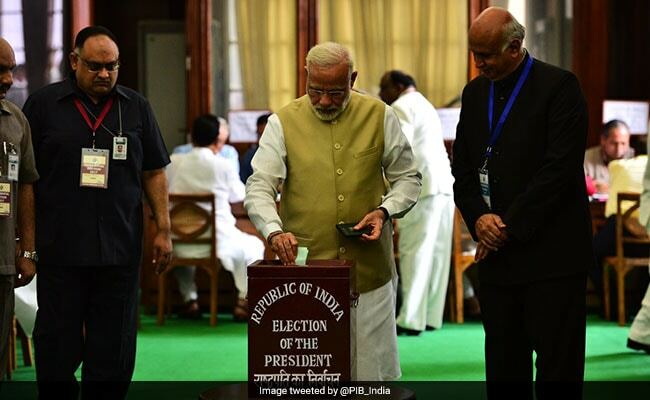 Prime Minister Narendra Modi was the first to cast his vote in Parliament on July 17 for the presidential election. The presidential poll on Monday saw nearly 99 per cent voting, the highest ever, according to returning officer said. 32 polling stations including the one in Parliament House, were set up in various states. A total of 4,895 voters -- 4,120 MLAs and 776 elected MPs -- were eligible to cast their ballot. Madhya Pradesh Minister Narottam Mishra did not vote as he was disqualified by the poll body over the allegations of "paid news". 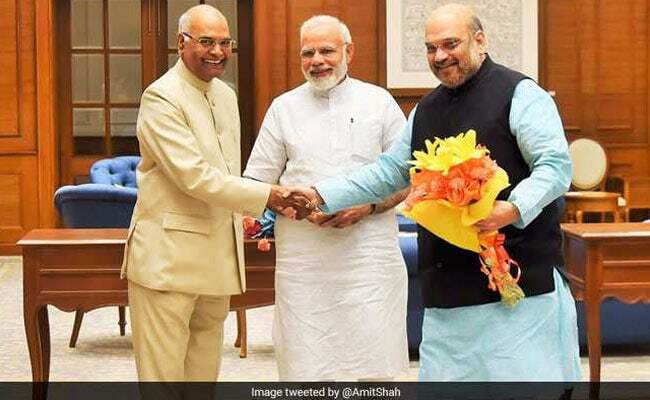 Prime Minister Narendra Modi's choice for the post of President - Ram Nath Kovind, a Dalit candidate, was seen as a masterstroke to divide the opposition and keep allies together as well as a move to consolidate its growing support among politically vital backward castes. If elected, Mr Kovind will be the second Dalit President of India after KR Narayanan. A 17-member bloc of opposition parties had announced Meira Kumar's candidacy days after the BJP named its nominee, pitching the contest as a battle of ideologies. "I have asked members of the collegium to pay heed to their voice of inner conscience," Ms Kumar had said. While the value of a legislator's vote depends on the population of the state he or she belongs to, the value of an MP's vote remains the same at 708. Thirty two polling stations including the one in Parliament house, were set up in various states. A total of 4,896 voters -- 4,120 MLAs and 776 elected MPs -- were eligible to cast their ballot. MLCs of states with legislative council are not part of the Electoral College. The counting of votes for the Presidential election will be held under the supervision of the Lok Sabha secretary general Anoop Mishra, who is also the Returning Officer. Parliament House would be opened, and then, the ballot boxes received from states would be counted on alphabetical basis. The votes would be counted on four separate tables and there would be eight rounds of counting, an Election Commission official said. 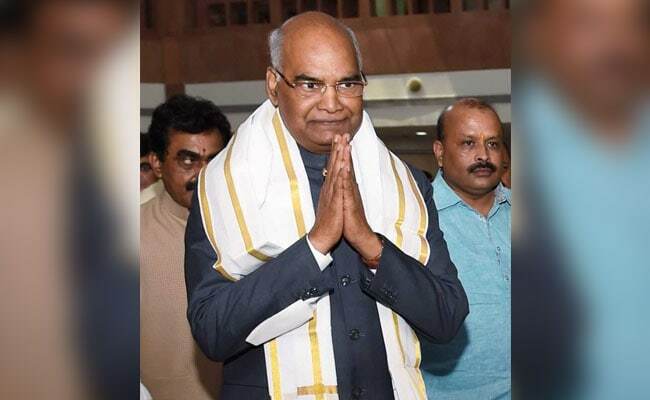 NDA candidate Ram Nath Kovind, the former governor of Bihar, is the clear favourite to win the contest against Meira Kumar, former Lok Sabha Speaker fielded by the opposition. Mr Kovind, 71, is backed not just by the ruling BJP-led National Democratic Alliance but also several regional parties like Tamil Nadu's AIADMK, likely to get nearly 70 per cent of the total votes. 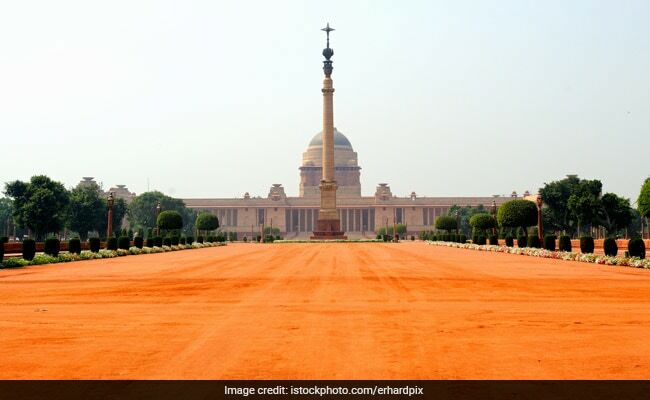 The counting of votes for the presidential election will begin at 11 am today, at the end of which India will know who its next President will be. The contest, between the ruling NDA's Ram Nath Kovind and the Opposition's Meira Kumar, both Dalits, saw nearly 99 per cent lawmakers and legislators cast their vote - the highest ever. Voting had taken place on July 17.